Staff and patients in the paediatric department of Bafata regional hospital in 2015. Erling Larsson is a doctor from Sweden who has recently returned from Guinea-Bissau. Erling was the last medical team leader at MSF’s paediatric care project in the Bafata region, which closed in April 2018. In this interview, he explains the challenges of closing a project and the main outcomes of MSF's work in the region. 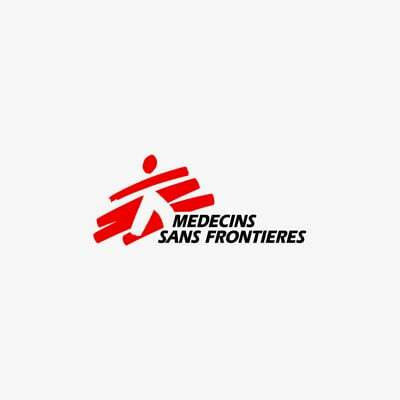 Why did MSF decide to start working in the Bafata region? Set up in November 2014, the project’s general objective was to help reduce infant mortality by strengthening the public health system in the country. There has not been a stable government in Guinea-Bissau for years and foreign financial aid has been considerably reduced due to instability. The situation has had a significant impact on public system, already weak with few resources. Over the last three and a half years, we have managed the neonatal and paediatric units, as well as a nutritional programme for children under five in the regional hospital of Bafata. We have also supported several health centres in rural areas in ​​the region and have trained community health workers to diagnose and treat malaria, diarrhoea and acute respiratory infections. At the same time, we have set up a system of referrals to transfer patients from the community to the hospital. What are the project’s main outcomes? MSF’s activities in Bafata have undoubtedly had an impact on the reduction of mortality rates in the region. We were the first to implement chemoprophylaxis treatment for seasonal malaria in the country. Chemoprophylaxis is a preventive medication given to children during the peak months of the malaria season. Despite the closure of the MSF project, this strategy will continue in Bafata and neighbouring regions. We also supported the diagnosis and treatment of common diseases at a community level, such as malaria and diarrhoea. This strategy was already included in the national health programme but was not being carried out. MSF has provided important training for the health professionals who have been working with us. Over the past three and a half years, these health workers have been able to see how a professional and well-structured healthcare service works. We must not underestimate this group of people, who will retain the knowledge imparted through training. We must bear in mind that, within the current public health system, they have very little support, often lack the necessary equipment or medicines and do not have supervision from senior staff. But the knowledge acquired by these young doctors and nurses, who have been working with us for three years, will remain. MSF also carried out a study on fevers in Bafata. What were the findings? The study aimed to find the cause of fever in children who did not have malaria, or any obvious symptoms of other diseases that would need antibiotics, such as pneumonia. Based on our analysis, we wanted to know whether these children needed any specific treatment and whether we should change our protocol. The study revealed that in most cases the fever was caused by common viruses that did not require any specific treatment. Therefore, it was not necessary to change our protocol as these patients would not respond to antibiotics. Why did MSF decide to stop working in the region? As an emergency humanitarian organisation, MSF's priority is to work in the most critical contexts where needs are most pressing. We don’t tend to work for long periods of time in stable places like Bafata, where there are obvious needs but where other organisations can easily work. We have been able to hand over our work at community level to another NGO, which will continue to support community health workers. The Ministry of Health will take responsibility for the health centres and the hospital in Bafata. Due to the lack of human resources in the country, we know that it will be difficult to maintain the same level of care, especially in the hospital. It is always difficult to close a project, especially when it is working well and there are needs in the community. However, this is the reality of our work and we have to face it. We told the local health and political authorities about our plans to hand over the project months in advance, through several meetings. We also talked to community and religious leaders, which is extremely important in Guinea-Bissau. As the public system is very weak, these leaders play an essential role in the organisation of their communities. For example, when teachers do not receive salaries for a long period of time, the leaders will collect money from the community, so they can continue to teach. Although the leaders were not happy about MSF’s departure, they understood why we were leaving Bafata and helped us to explain this to the community. We also donated medicines and medical supplies to the health centres and the hospital; a gesture that was very much appreciated. We made the donation in the presence of community and religious leaders. They understood that this was important for their community, and that supplies were to be used in a responsible manner. All the logistical work that was carried out by MSF in the health centres and in hospital will be a long-term benefit for the people of Bafata. Does MSF have other projects in Guinea-Bissau? MSF is currently working at the Simao Mendes national hospital in Bissau, the country's capital. Children from all regional hospitals come to this centre to receive medical care. We also referred children with complicated conditions from Bafata to Simao Mendes, so that they could continue their treatment. We will continue to monitor the situation in Bafata, in case there is any medical or humanitarian emergency that we must face in the future.